A love of shrub—a vinegar-based syrup popular with colonial Americans for making water potable—and a dissatisfaction with other mixers on the market led Justin Frazer, then the banquet chef at Orchids, to tinker with concocting the stuff himself. “I wanted simple, clean flavors where the fruit shines,” Frazer explains. 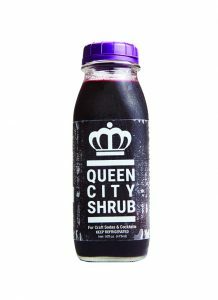 By late 2016, with his homemade shrubs a hit among family and friends and being served at an increasing number of local bars and restaurants, Frazer left Orchids to launch Queen City Shrub and pursue mixer-making full time. Per historic tradition, he favors cold-pressing and using natural ingredients like whole fruits, vinegar, and pure cane sugar (with a few variations containing honey or spices). Ideal for the equal-parts cocktail arsenal (shrub plus spirit or soda water), QCS’s signature offerings—Hibiscus Coriander, Ras El Hanout Haymaker, Lemon Citrus, and Tart Cherry (with others batched seasonally)—can also be used as a base for salad dressings, desserts, and sauces. You’ll find them at several local retailers, including The Rhined, Jungle Jim’s, and Harvest Market. Makes about 8 five-ounce servings. 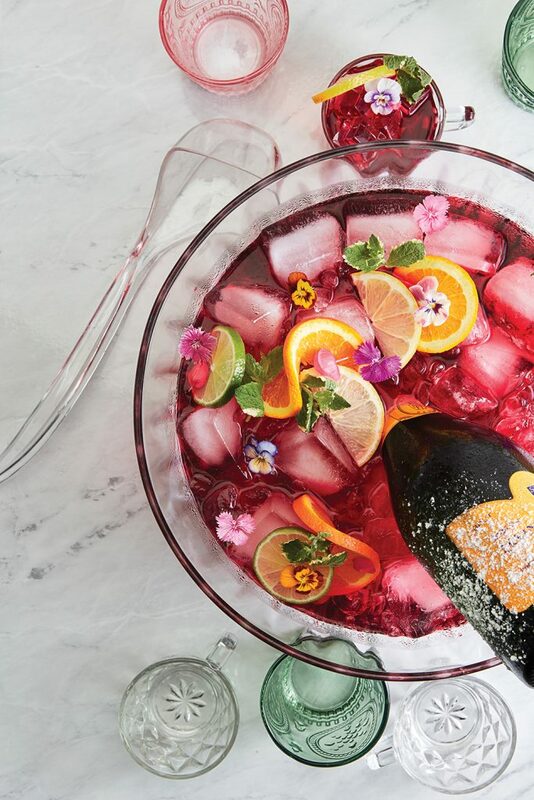 In a punch bowl, combine vodka and shrub, then top with sparkling wine. Add large ice cubes. Garnish with citrus wedges, edible flowers, and mint. Next articleWorst Job In Cincinnati? Dog Catcher!